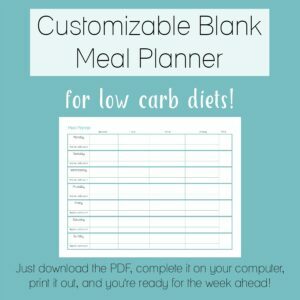 Are you looking for no carb meals? 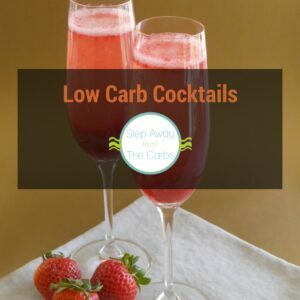 Here’s my guide to staying as close to zero net carbs as possible! 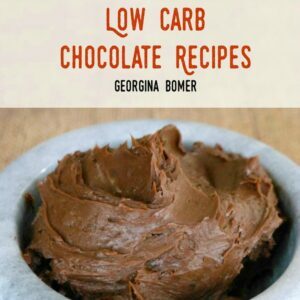 So, before we start looking at how to make no carb meals, I’d like to make something clear. When I say “no carb meals”, some are zero carbs, and some are under 1g net carbs per meal. This article is all the path to finding a variety of interesting recipe ideas that are seriously as low in carbs as possible, and I’ll also explain where the carbs can start to creep in! If your goal is zero carbs per meal – keep reading because you’ll still find this useful! You’ve over indulged and need to set your day back on track. You’ve stalled and need to kick start your weight loss by lowering your daily carb count. 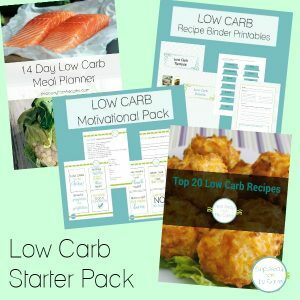 A well-balanced low carb diet is a successful way of losing weight for many people. 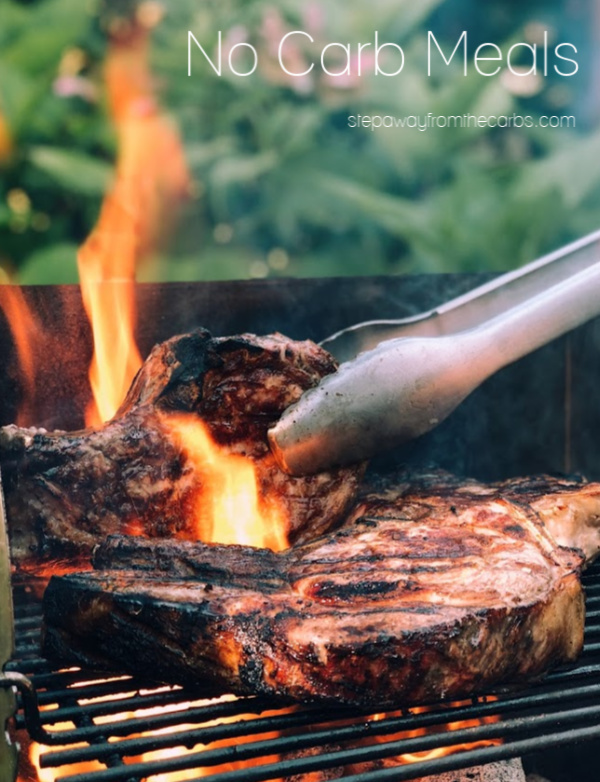 But a zero carb diet also works for some people – even though it rules out all fruit and vegetables. Check out my recent posts that compare carb counts for low carb vegetables and low carb fruits – some of the vegetables are REALLY low, but not strictly zero. 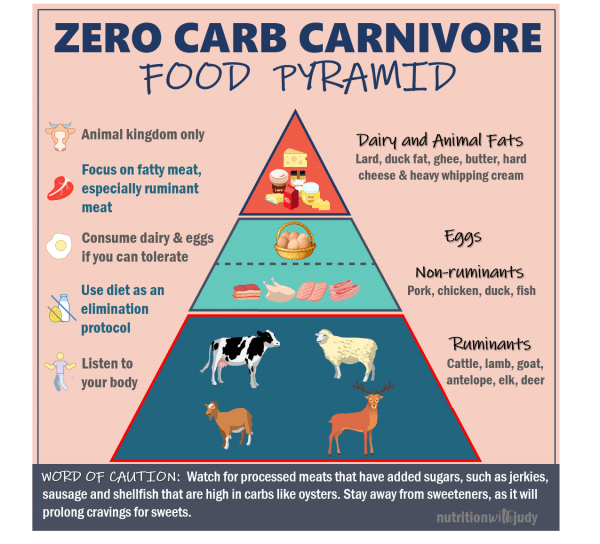 You might also find my list of 43 Zero Carb Foods helpful – especially as it comes with a handy printable! Oh, and a while ago I attempted my first Zero Carb Day – I’ve learned a lot since then about the best ways to cut the carbs out completely. 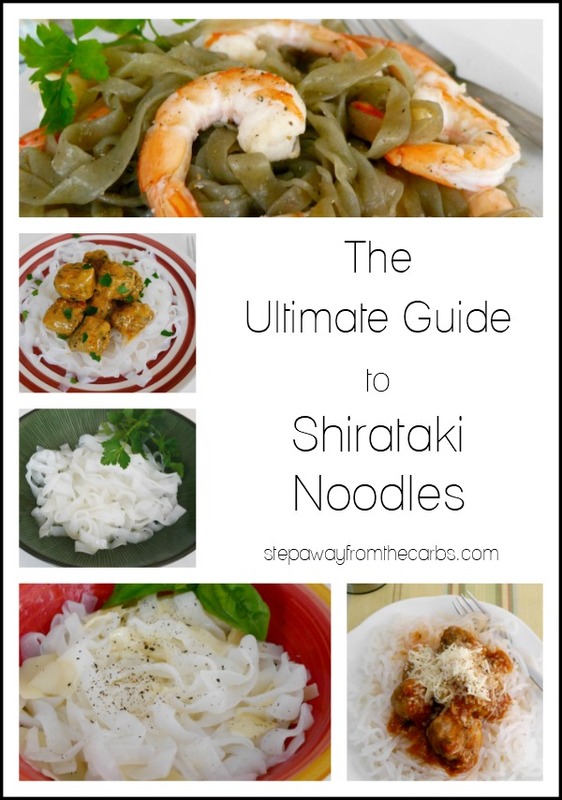 Plus I’ve also just released a guide to Carb Free Foods, too! So the goal is to turn those ingredients into a meal. Easy, yes? As you probably know, low carb diets are NOT about going hungry. Let’s take an example. 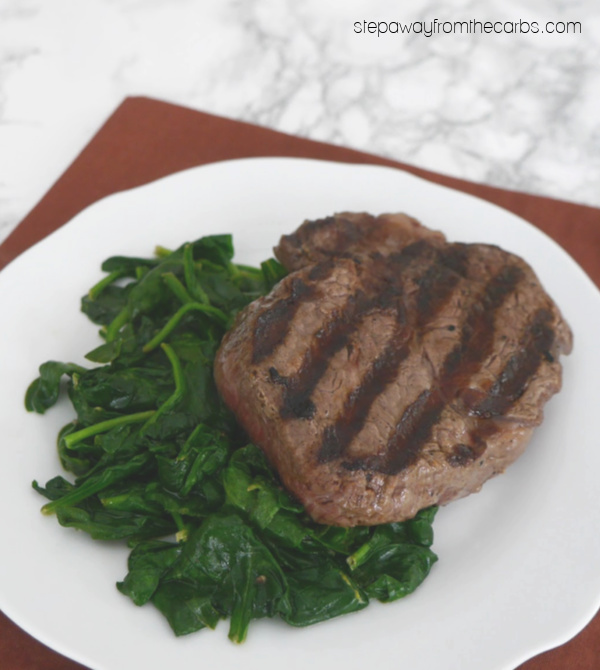 A filet mignon steak, some wilted baby spinach, some butter, and a splash of cream. Carb count: 0.8g net (based on 5 oz steak (zero carb), one cup of baby spinach (0.4g net when measured raw), butter (zero carb), 1 tbs heavy cream (0.4g net), salt and pepper). It’s not zero, but it’s pretty low. So let’s try to get even lower! How about you need a quick lunch – or even breakfast? 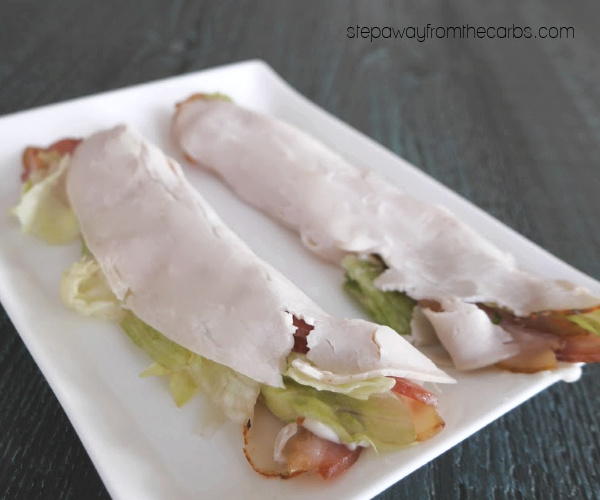 Grab some deli chicken or turkey, and add some bacon, lettuce, and mayo, then roll it all up together. You can see that my turkey slices tore a little, but it was still delicious! Carb count: 0.7g net (based on two slices of turkey, two slices of bacon, a few pieces of chopped lettuce and a tablespoon of mayo). 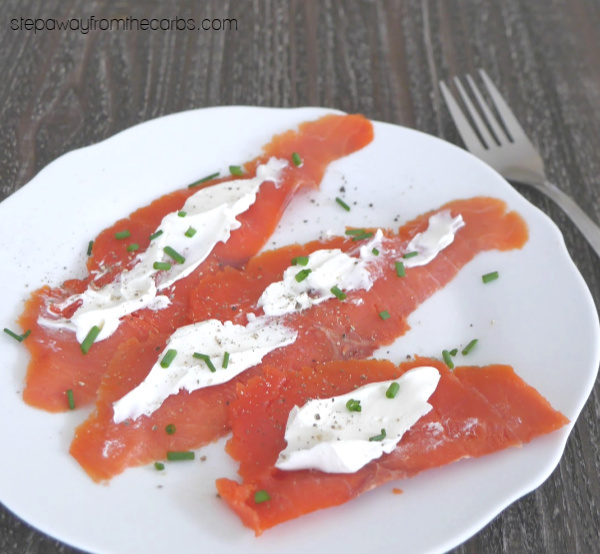 This would be a lovely no carb meal for the summer: Smoked salmon smeared with cream cheese, then garnished with chopped fresh chives and black pepper. Carb count: 0.5g (based on 2 oz smoked salmon (zero carb), cream cheese (0.5g net carbs per tablespoon), chives, and black pepper). Here’s some grilled cod that I cooked with some Indian spices: a little shake of ground cumin, garam masala, paprika, salt and pepper. Then I served it over a bed of arugula. 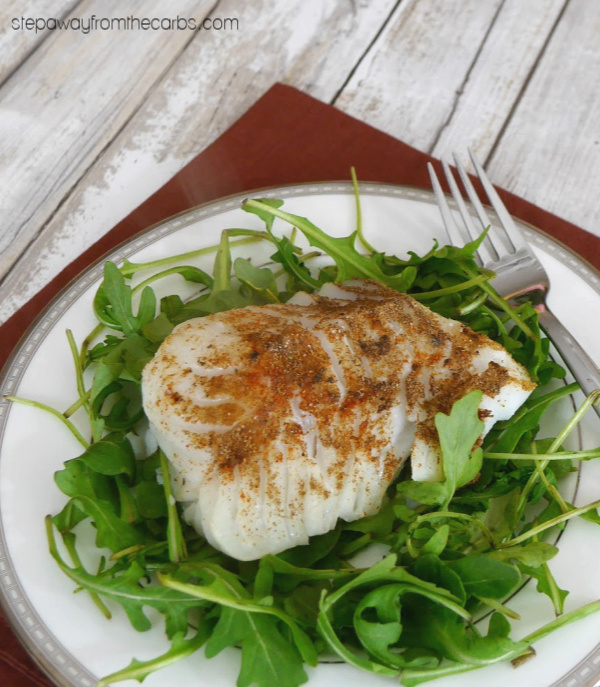 Carb count: The fish and spices are zero carb, half a cup of arugula is 0.4g net carbs. As you may have noticed from the carb counts given above, the amounts only start to creep up when you also include salad leaves or cheese – they’re super low but not zero. And I’ll confess, that as a blogger, photographing food without any greenery often doesn’t look very balanced! If you’re being super strict, just omit these ingredients. So what about eggs? A large egg contains 0.6g of carbohydrates. So if you have two per meal, you’ll be over 1g of carbs before you add anything else. But consider my recipe for egg wraps, and add in some sliced ham and shredded cheese. 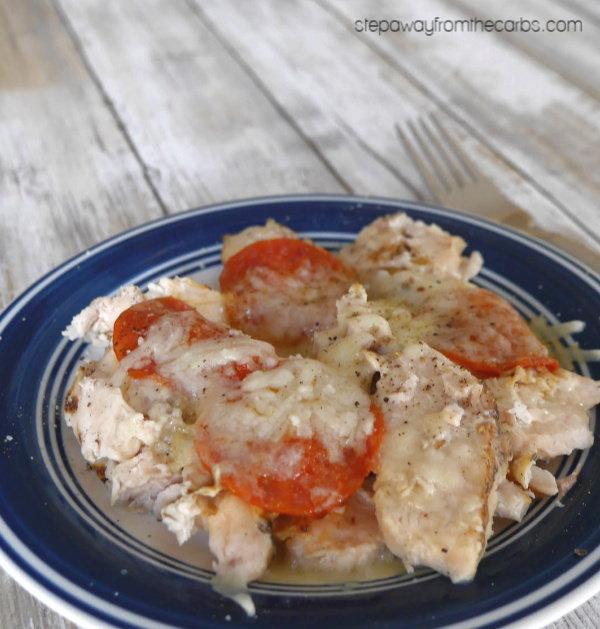 It’s a super tasty light meal or large snack! If you want even more inspiration for no carb meals, check out my Zero Carb Pinterest board!